In 1951, the Nepalese monarch ended the century-old system of rule by hereditary premiers and instituted a cabinet system of government. Reforms in 1990 established a multiparty democracy within the framework of a constitutional monarchy. An insurgency led by Maoist extremists broke out in 1996. The ensuing ten-year civil war between insurgents and government forces witnessed the dissolution of the cabinet and parliament and assumption of absolute power by the king. Several weeks of mass protests in April 2006 were followed by several months of peace negotiations between the Maoists and government officials, and culminated in a November 2006 peace accord and the promulgation of an interim constitution. 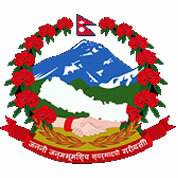 Following a nation-wide election in April 2008, the newly formed Constituent Assembly declared Nepal a federal democratic republic and abolished the monarchy at its first meeting the following month. The Constituent Assembly elected the country's first president in July. The Maoists, who received a plurality of votes in the Constituent Assembly election, formed a coalition government in August 2008, but resigned in May 2009 after the president overruled a decision to fire the chief of the army staff. The Communist Party of Nepal-United Marxist-Leninist and the Nepali Congress party then formed a new coalition government with several smaller parties. The prime minister's resignation in June 2010 ushered in seven months of political gridlock until Jhala Nath KHANAL was elected as replacement in February 2011. His pressing tasks are to conclude the drafting of a new constitution by the late May 2011 deadline and to determine the future of the former Maoist combatants.